I was a target trying to get a new Ergo carrier. Not a purchase I take lightly as the price makes this is large purchase in my house. (We had just lost our original one at the park.) There was what I could only guess was a brand new mom, looking at the carriers in the aisle next to me. I tried to casually glance over without being that weirdo that kept staring, but I knew that familiar look all too well. That exhausted, desperate, barely functioning “I have a needy newborn at home” look. I wanted to laugh because I understood the way she was feeling all too well, but I didn’t. I too had, had a super needy baby too. There was no such thing as putting him down. Not a fun game. I simply told her that babywearing will change her life. And it will. When I discovered baby wearing, I found out I could actually do things again. I could go places, and use my hands! I guess that is something only moms with super needy babies understand. But for us, this changes everything. I had the sort of baby that had a hard time adjusting to his new life on earth, (versus my womb.) He would scream bloody murder if I tried to put him down, ever. When I finally got desperate enough I broke out the baby carrier I had been too intimidated to try. My only regret was not trying it sooner! Now its one of my baby must haves. Okay, so on to why you need a baby carrier. First I want to go into why you should baby wear and how babywearing is beneficial to your baby. Babies who are worn cry less according to this study. 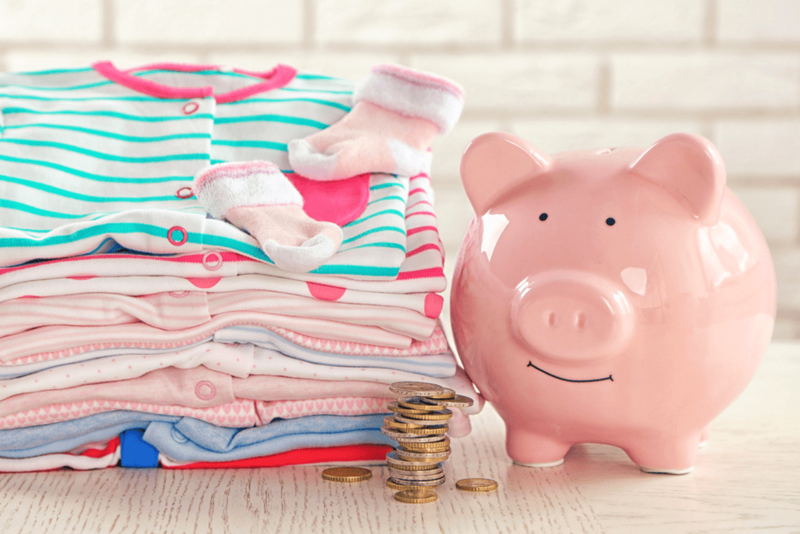 That may not seem like a big deal, but a baby’s brain doubles (source) in the first 3 months of life. This time is very sensitive and structuring of the brain is starting. The happier and calmer baby is in those first few months, the healthier brain development will be. Babywearing calms baby, this is from personal experience. Babies enter a very calm state when being worn. They usually watch everything going on very intently, or go to sleep. Both my very needy baby, and my very independent baby loved being worn. If your baby gets fussy in a carrier, he may have a need that’s not being met. So feed, check diaper, and try again. Promotes bonding and attachment, babies have a biological need for being close to their moms. It keeps them feeling safe and secure. It’s in a babies very nature to feel its best when held close to mama. Again, great for brain development. Promotes Learning, Baby gets to watch mama and learn how people interact with one another. It sets the stage for a life-long knowledge of how people communicate and connect. (Yes, again this has to do with brain development, but seriously, who doesn’t want a super smart baby. Get stuff done! You can get things done, even with a baby who hates being put down, while keeping both of you happy. Seriously, what mama couldn’t use a second pair of hands? I put my baby on back and can vacuum, do dishes or even work at my computer all while he’s happy as a clam. Errands are way easier. I’ve seen mama’s in the store with their baby carrier in their carts. This is great for quick trips, but when I buy grocery’s I buy a lot at one time. There’s no room for food when baby is in the cart too. Plus, the motion of being in the carrier puts him to sleep nearly 90% of the time. Speaking of baby sleep, no worries on missing nap time. I use to plan all my outings around our baby’s nap time. Now that I know my baby gets THE best sleep in my carrier, we nap on the go and I can actually enjoy whatever we are doing, without worrying that baby will get tired and cranky. 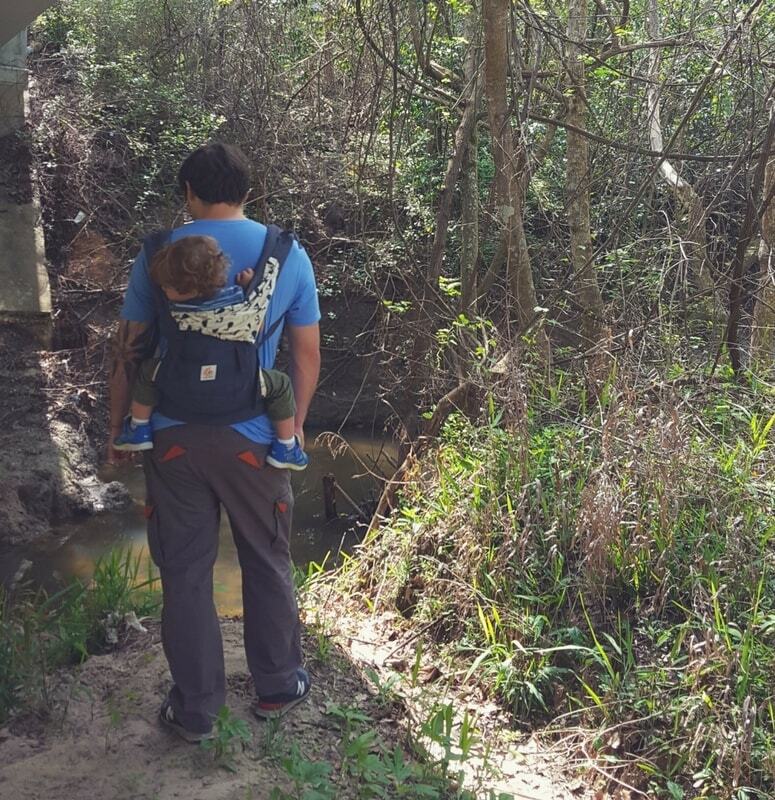 These barely scratch the surface of all the benefits of babywearing. Babies are supposed to be with mama as much as possible in those first few months. 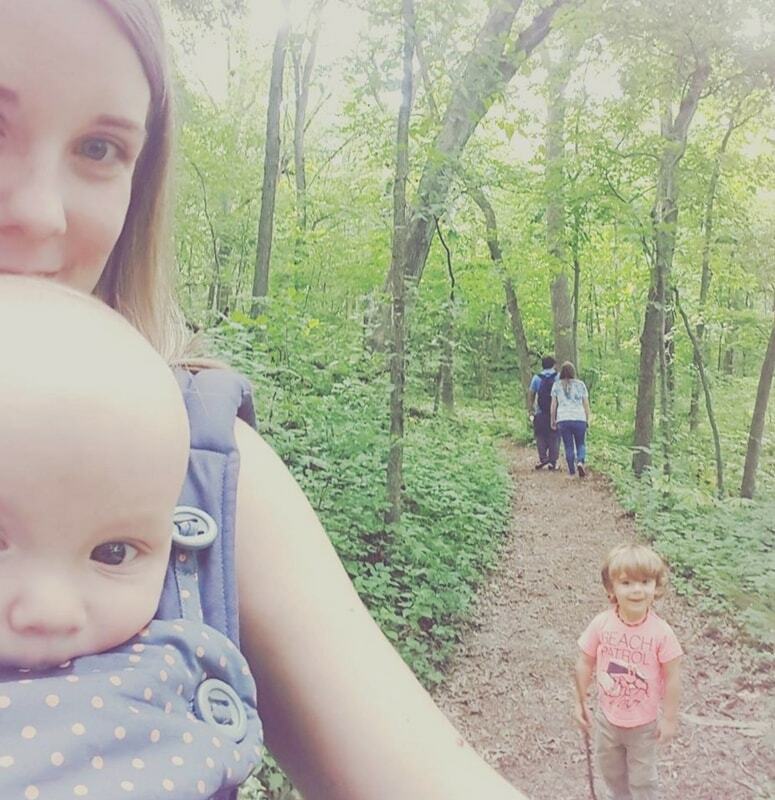 Babywearing just makes that a little more possible, without going crazy. There are so many choices out there! Not always a good thing when you don’t know what you’re looking for. For a brand new baby, My first choice is a Moby. This wrap was kinda intimidating at first. I had to practice with a doll the first couple times. I was scared I would somehow fumble and drop my baby. But after 20 minutes of practice, I felt like a pro! You start with the basic newborn hug hold. You can slip your baby in and carry on about your business. This wrap is perfect for little babies. It keeps them snug, and I swear it puts them right to sleep. This photo was us at the zoo. My little man slept the whole 4 hours we were there. Didn’t wake up once. You can get this one or this one which are both the “it” brands. I bought the Moby, and it’s great. If I had to do it over, I’d probably get the cheaper one. Honestly it’s just a long piece of stretchy cloth. I feel like that’s kinda hard to mess up. You can get one that’s well-reviewed for half the price here. My favorite structured carrier is an Ergo. I had the original Ergo and it was definitely one of the easier ones to use. I didn’t buy mine with a newborn insert, so I had to wait until my baby was about 4 months old. Once he was old enough for this one, I rarely used the soft wrap. Its just so much easier to pop baby in and out, especially on the go. We even used it for our toddler. I will say that there are probably better carriers for older toddlers, but it worked well enough for us. It was actually on this day at the park, that we lost that particular carrier after deciding on sometime in the sand pit. Since I still had a small baby, I knew we needed another quickly. This time I got the upgraded Ergo 360. It’s a little more expensive, but I have to admit, I like this one a lot more. Mostly because my second child is super nosey. He is only happy facing outward. The thing about outward facing is that it can be very harmful to a babies hips. The excess strain from facing out in a normal carrier can cause hip dysplasia. When a baby gets this, they have to wear a special cast for a few months to correct the abnormality. The Ergo 360 is specially designed for safe outward facing carries. It’s safer and doesn’t put a strain on baby’s hips. This is a good thing too, because my little one gets so fussy facing inward if he’s not ready for sleep. I also bought this structured carrier from Target. It’s much less expensive than an Ergo. It works ok for short trips. I bought this after we lost our first ergo thinking it would be similar, but after using it on a short hike, I decided we needed the Ergo. If you are only planning on babywearing for short amounts of time then this would probably be ok. Wearing it for any longer and I start to get shoulder pain, and I really dislike the material its made of. It also doesn’t feel as sturdy as the Ergo. If you are only planning on babywearing for short amounts of time then this would probably be ok. Wearing it for any longer and I start to get shoulder pain, and I really dislike the material its made of. It also doesn’t feel as sturdy as the Ergo. If you simply can’t afford an Ergo at this time, or just want to “try out” baby wearing, this wouldn’t be a bad choice to start with though. A mei tai is basically a square piece of fabric with long ties on the top and bottom. This is another great option. I was given one as a hand me down and it’s great because it doesn’t take up a lot of space, and works well for most sized babies. I also find it easier to breastfeed in. They are also very affordable. I currently don’t have a photo of me wearing this one, but this is the one I have. I like this one because it’s easy to wash, and made of sturdy fabric. If you decided to get this one, it should be about 30 dollars. This particular link may show it for higher, so make sure not to pay more than you should be. Slings are a super quick & easy way to carry baby around. They do usually require one hand to help support the baby. I had bought a sling for my husband, but we never actually used it. The other carriers were just more right for us. 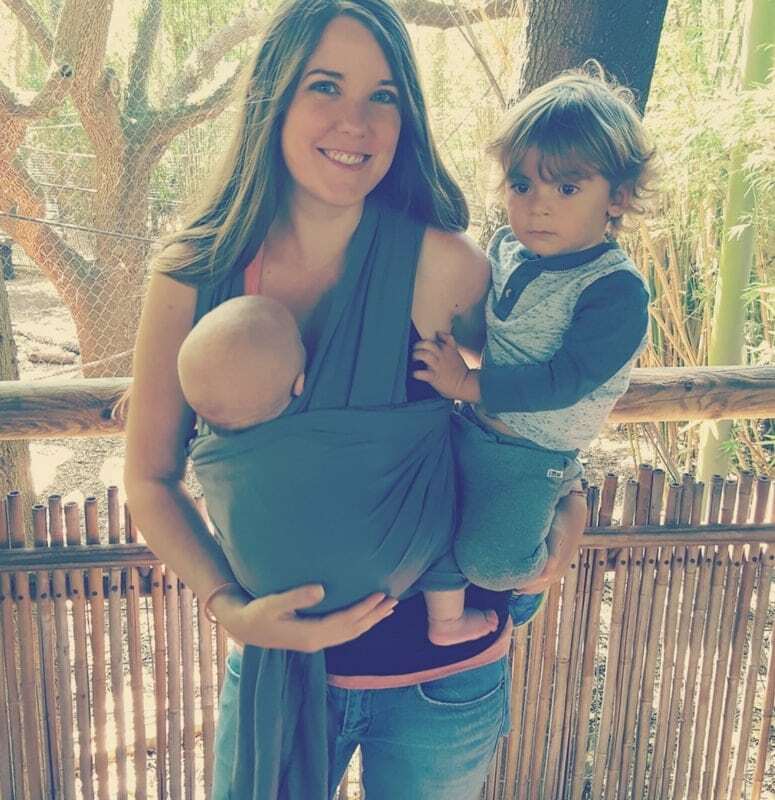 I have heard that lots of moms love slings though. There are some really pretty ones out there too, like this one. 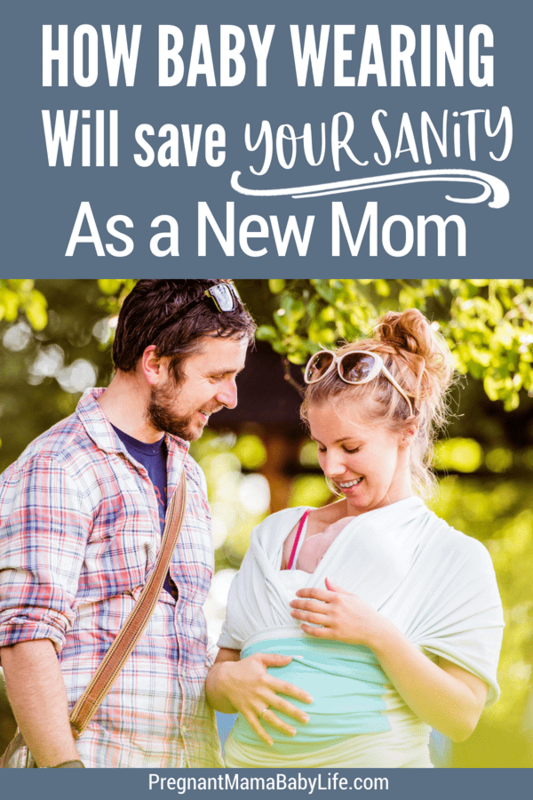 I will be the first to admit, I had a really hard time adjusting to being a new mom. I was exhausted and drained emotionally, every tiny that made life easier, made a HUGE difference. This was one of those lifesavers for me. 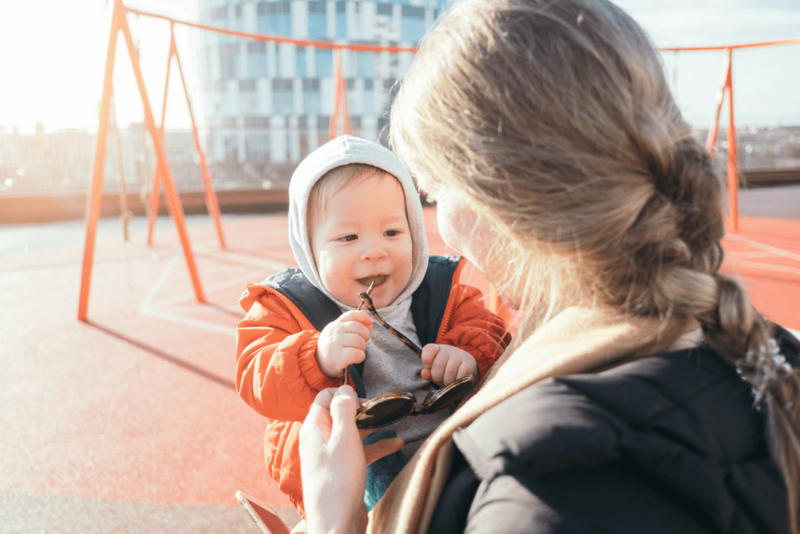 Having a carrier helped my baby calm down, helped us reconnect and allowed me to do things I wanted to do without having to choose between having my hands full or having a crying baby. So in my opinion, all mamas need at least one carrier, even if it’s just in case. Totally agreed! Babywearing is really fantastic. We have a moby and when my daughter (she is 6 weeks old) is grumpy and over tired I pop her in it. Yes! I would be lost without a carrier! Im glad your little one likes it too! today has been a monumental day. for the past 4 weeks, my 10 week old son has been struggling so much to take naps to the point he and i would both cry from exhaustion and frustration every day. i read all the suggestions on the internet on how to get a baby to nap but none of those suggestions worked for us. then my cousin who wore her baby when he was younger, suggested i try my ergo carrier. i tried it a couple of weeks ago with no success but today i decided i was desperate enough to try it again. i put that sucker on and BAM! he fell asleep in a matter of seconds!!! i am a happy mama!!! finally my child is sleeping. he had 3 naps over 50 minutes (he was taking 5-20 minute naps). i am sold on baby wearing!!! I’m so glad you found something that worked for you guys! It helped us a lot too!